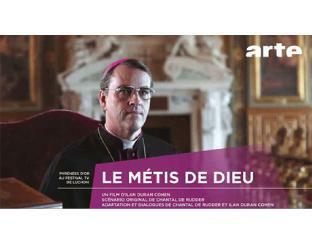 This movie is in French with English subtitles. Buy tickets at the theater. The true story of Jean-Marie Lustiger, son of Polish-Jewish immigrants to Paris, who maintained his Jewish identity even after converting to Catholicism at age 13, joining the priesthood, and rising to the rank of Cardinal. I hope many of you can come. Check comments on line. My 2:00pm and 3:30pm conversation classes will not take place on that day because this movie will be much more fascinating than anything I could propose. Well, it is not easy for us to watch a movie which is in the French language because it is always very difficult to read subtitle and watch the movie. Source http://www.crexpat.com/move-to-costa-rica-tips/cheap-trip-tips-for-students-in-costa-rica made for you. I am very glad that you share this with us and I will try to watch this movie on your behalf.